Ez Sez: Ez Sez: Happy Valentine's! ... and if you're there already, enjoy it all. Love is everywhere. Tap on in. 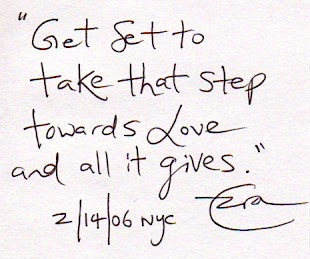 The Ez Sez Quote above is a little something I wrote last year at Valentine's Day. I share it with you here a year later. Have a lovely day everyone. Best to you from all the lovers here at Ez Sez. As good a day as any to tell you I love you.